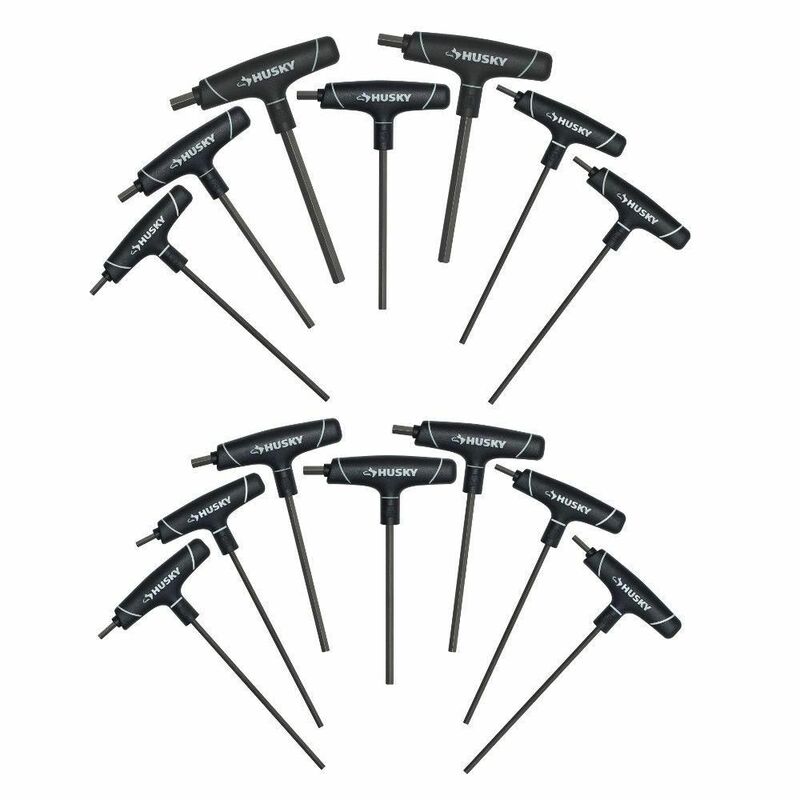 HEX SET T-HANDLE SAE/MM 14PC The Husky 14-Piece SAE & MM T-Handle Hex Key Set features alloy steel for strength and durability. These comfortable ergonomic handles resist rotational distortion. The tools have chamfered edges to help guide the tool onto the fastener.